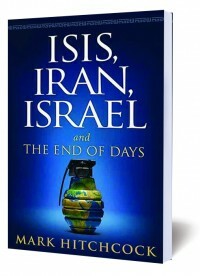 […] The Iranian regime believes that Israel will collapse within the next 25 years and suggested that, in the time being, Israel is purposefully keeping the region in an era of instability. To combat this “Zionist aggression,” Iran is hosting the festival as a means to showcase anti-Israel art and multimedia creations. The themes of the festival include the following: the Quds-occupier regime (Israel) and human rights, oppression, Islamophobia and terrorism promotion; the Zionist child-killing regime; Israel, a cancerous tumor; and Israel, a fake, racist and colonialist regime. Coming full circle, the closing ceremony of the festival will be held on International Quds Day, when massive rallies and protests are often held in Arab and Muslim cities across the Middle East. Iran has little interest in Israel except one word: hate. Israel does not border Iran; the country of Iraq lies between them both, with about 1,600 km (1,000 miles) distance. So, we may again ask: Why hate Israel? The reason is much deeper than political or even religious, but it’s a spiritual matter. Iran is a relatively strict Muslim country and cannot allow itself to be subject to Israel’s security preparations and defense. With great envy, they look to Israel, whose intelligence has continuously defeated Iranian attempts to infiltrate Israel. At the same time, Iran is fearful of an Israeli surprise attack, which would cripple the country. The real reason for the deep hatred is also grounded in ancient history. The book of Esther clearly shows that the Persian Haman tried to wipe the Jews off the map, but the story turned out quite different: “And Mordecai went out from the presence of the king in royal apparel of blue and white, and with a great crown of gold, and with a garment of fine linen and purple: and the city of Shushan rejoiced and was glad. The Jews had light, and gladness, and joy, and honour. “And in every province, and in every city, whithersoever the king’s commandment and his decree came, the Jews had joy and gladness, a feast and a good day. And many of the people of the land became Jews; for the fear of the Jews fell upon them” (Esther 8:17).